Stairs used to be a major hurdle for transporting heavy goods; sometimes several people had to handle objects up and down stairs, which often presented a high risk of back injury. That was until the introduction of LIFTKAR MTK. most loads are not a problem for this climber. The MTK 310's faster brother for load up to 190 kg. 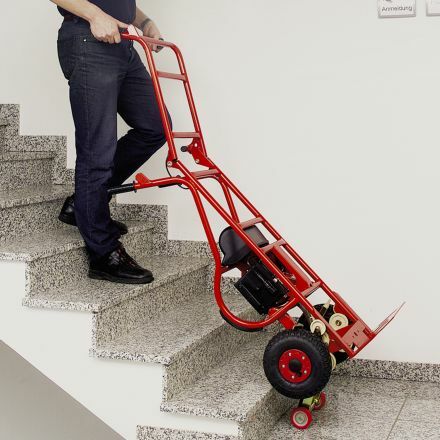 The MTK lifts itself and load on to each step while the operator just maintains the balance of the stairclimber and the load. 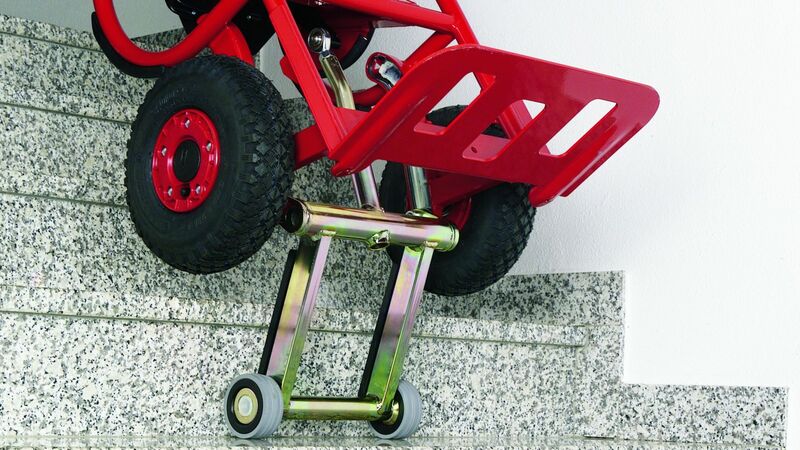 With a maximum step height of 210mm and lifting capacities of up to 310 kg, the MTK can tackle many type of load.